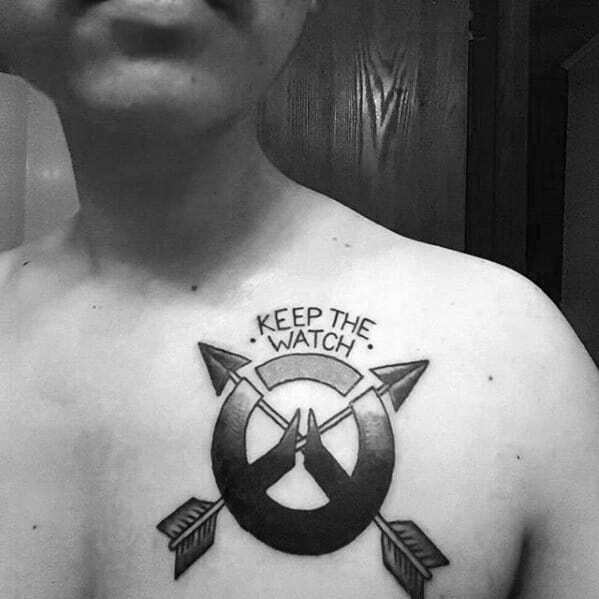 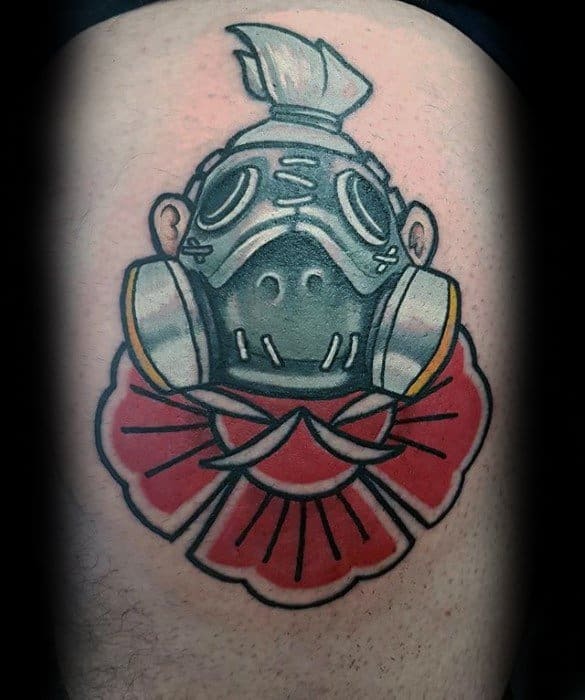 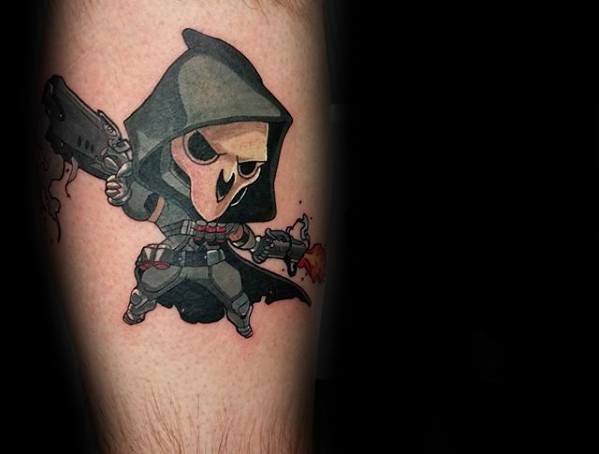 Overwatch tattoos deliver ostentatious pomp to any man who dons the video game’s iconic imagery. 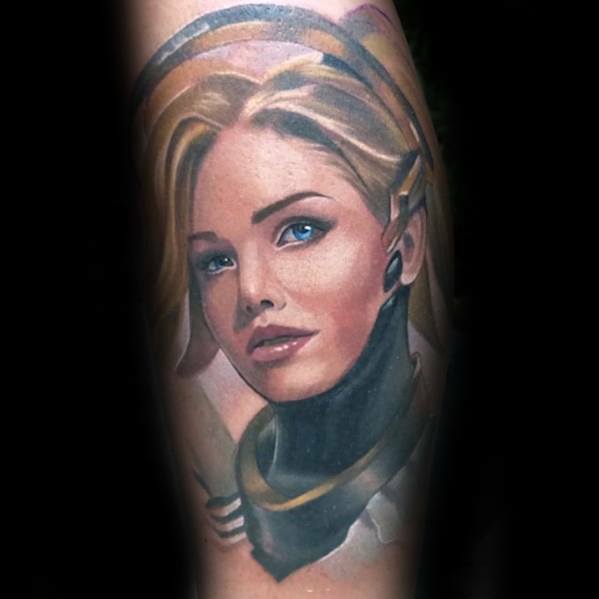 A brilliant design from this series will instantly mark you as a top-notch strategist with unparalleled style credentials. 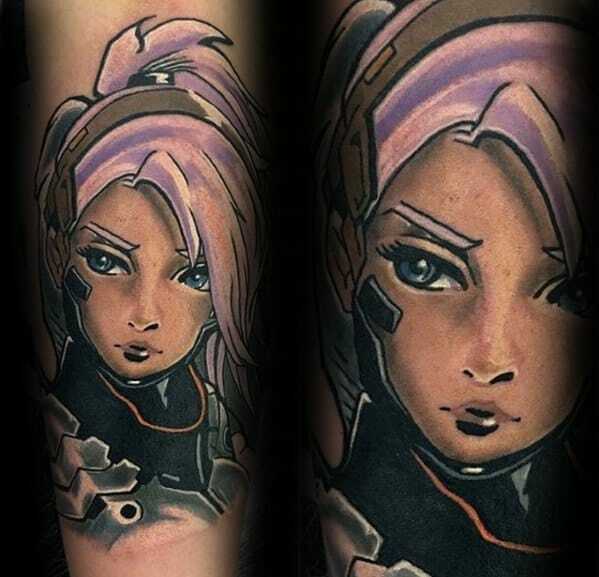 When the 3D characters are rendered in 2D form, they gain a charismatic edge that resembles cutting-edge anime imagery. 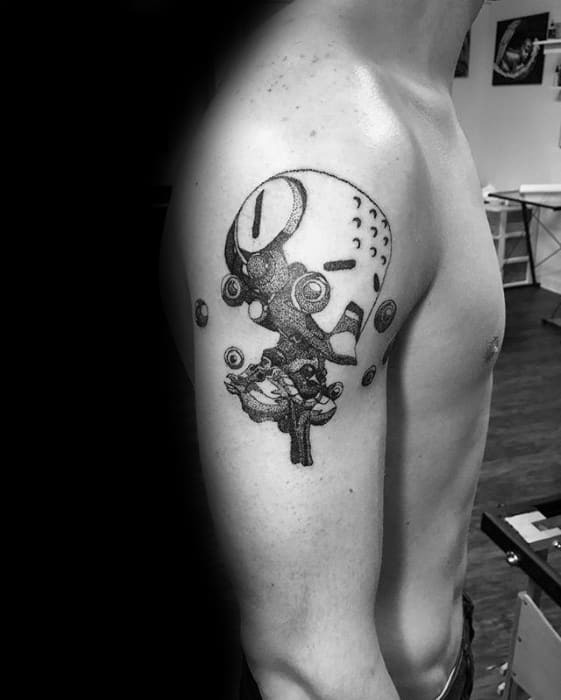 This naturally infuses intrigue for anyone with an appreciation of Japanese aesthetics. 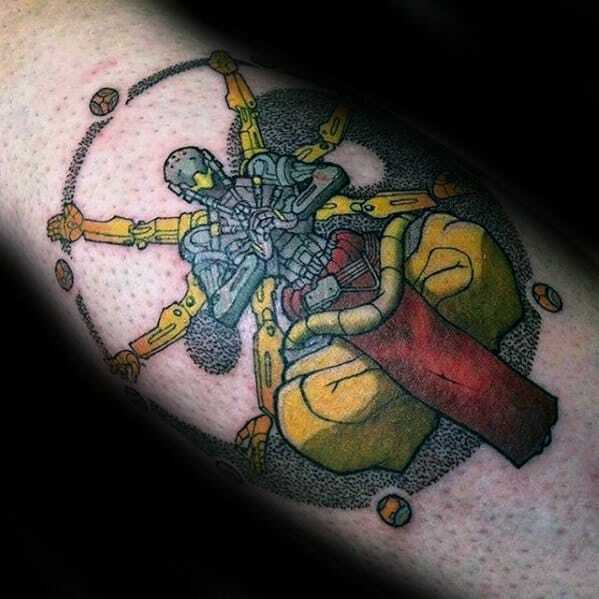 The presentation of these finished creations can be quirky and cartoonish or reserved and mature. 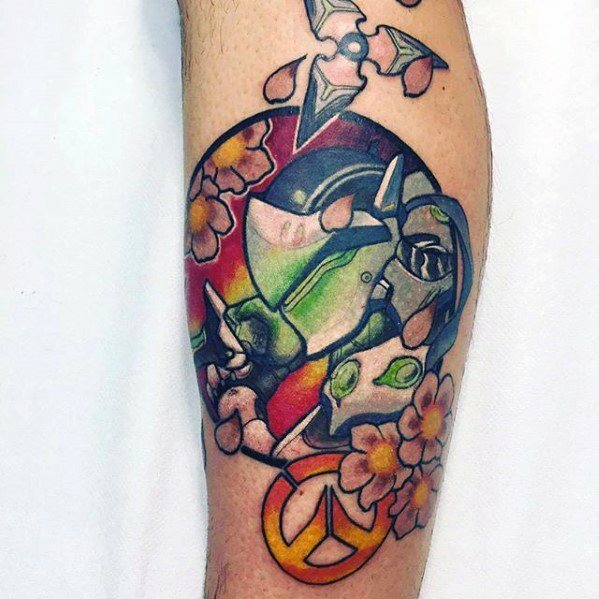 There is so much range available for those interested in Overwatch tattoos. 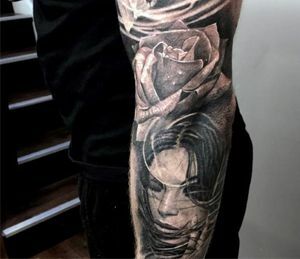 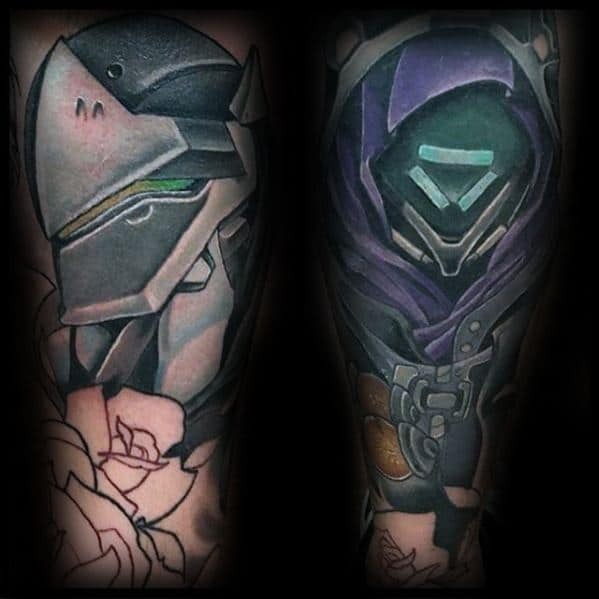 This exquisite franchise is filled to the brim with inspiration for masculine inked wonders. 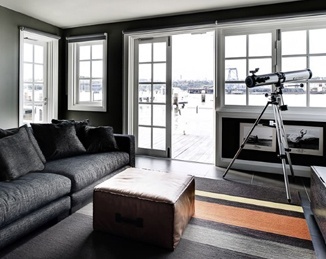 The unbelievable and unprecedented possibilities contained within this virtual platform are literally limitless! 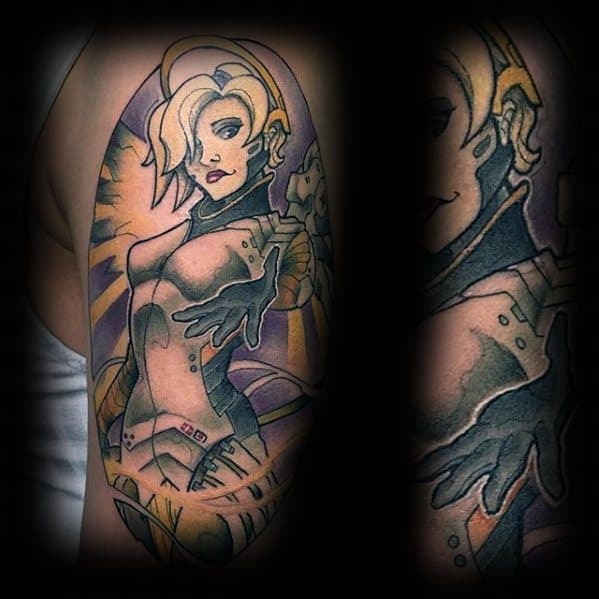 With 24 playable characters from the start, you will never run out of options if you decide to keep expanding your Overwatch portraiture. 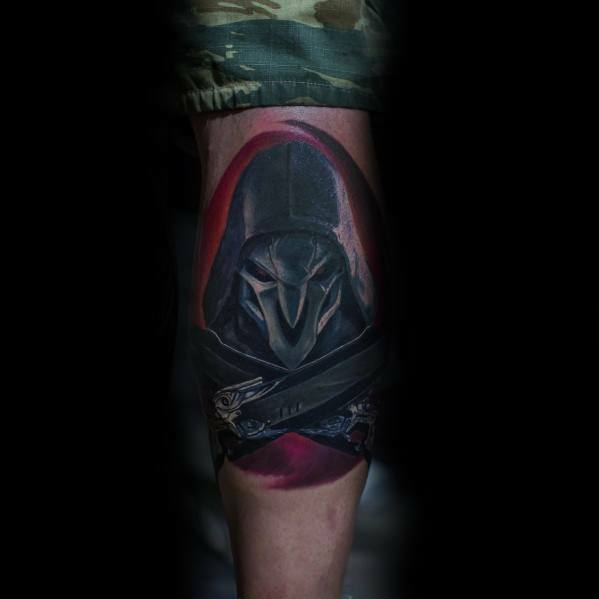 There are also plenty of logos that can be swiftly re-envisioned for any tattoo purposes. 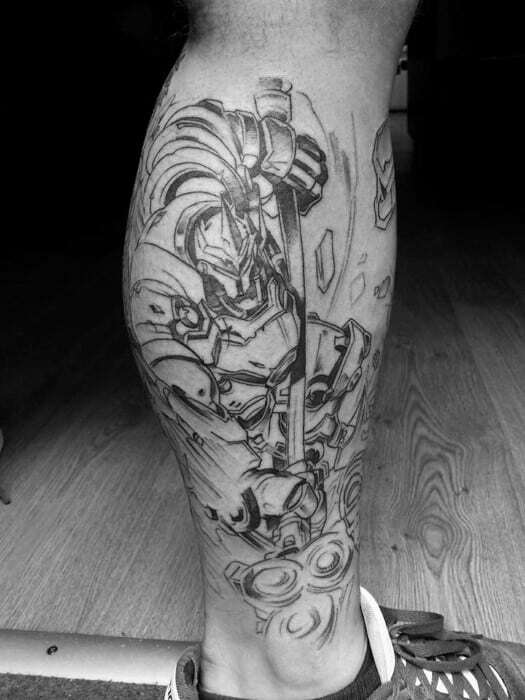 The high-tech weaponry and gadgetry also looks fantastic even when taken out of context. 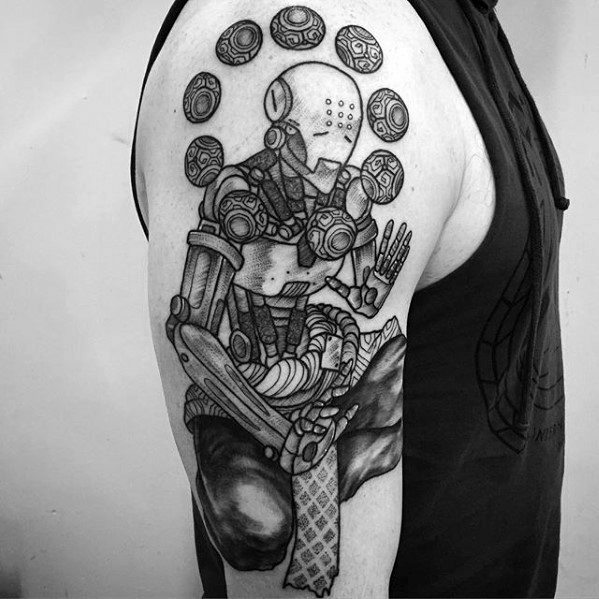 Rare character skins are another go-to avenue for a successfully orchestrated Overwatch masterpiece. 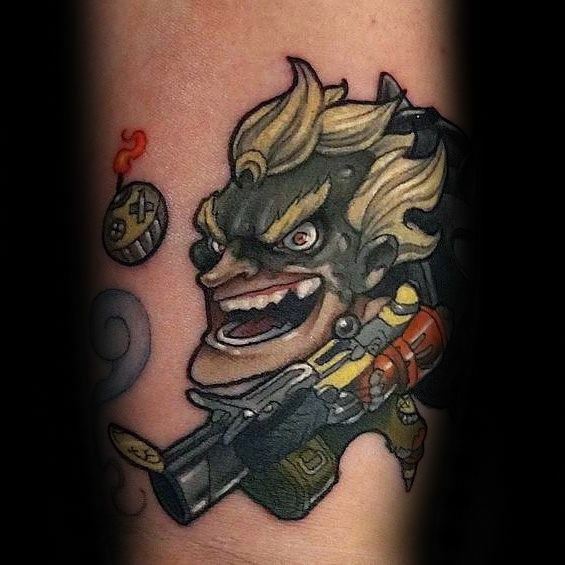 You can even choose to immortalize an invaluable in-game achievement. 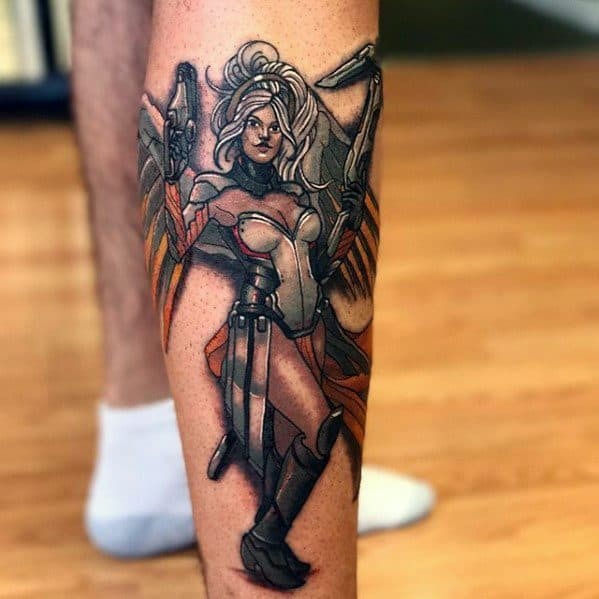 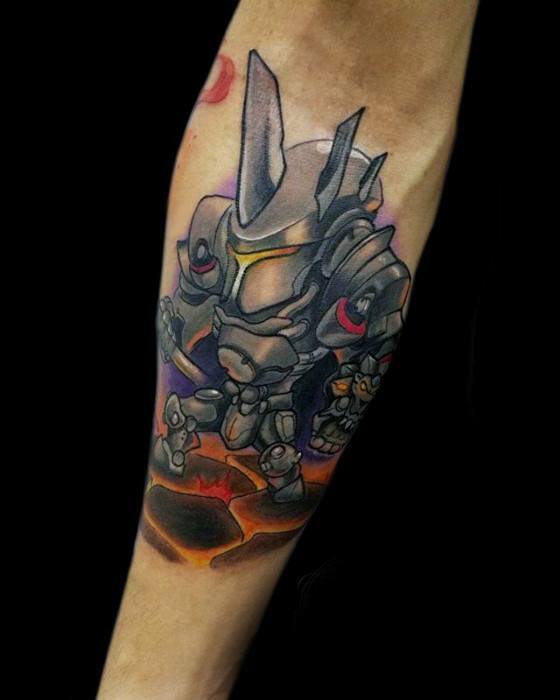 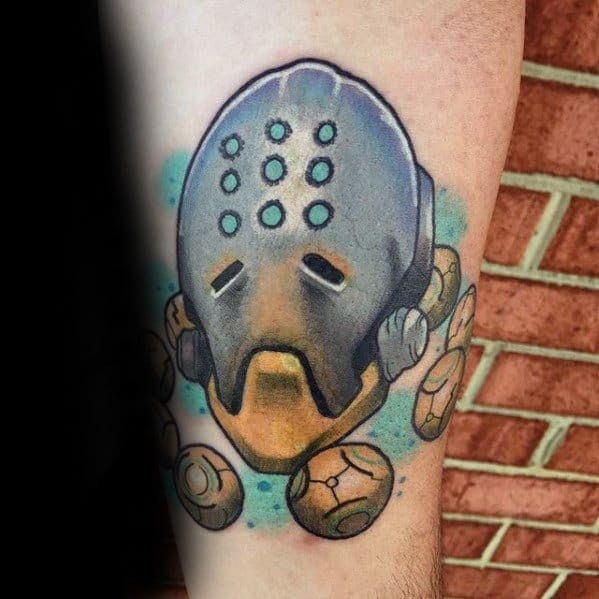 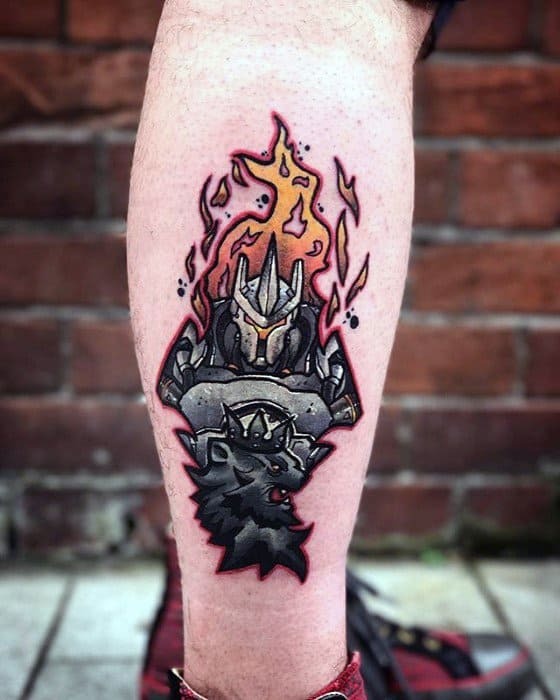 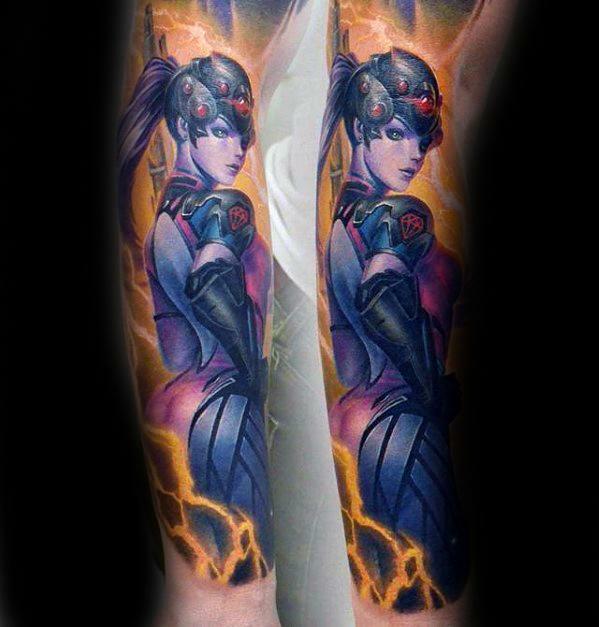 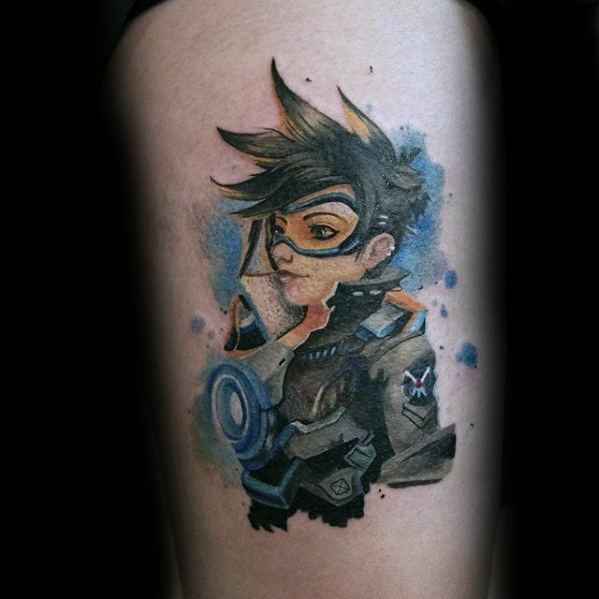 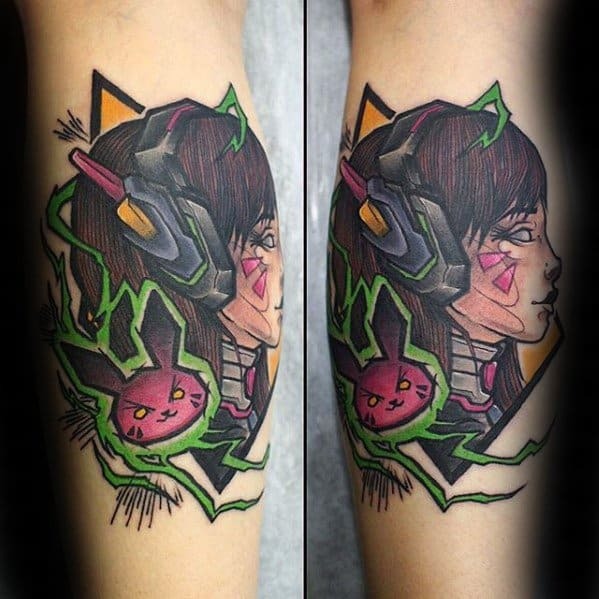 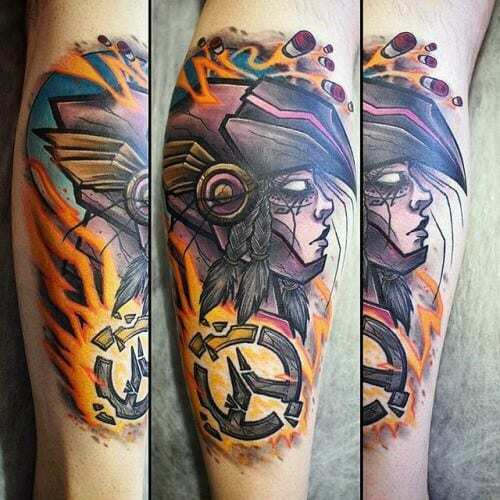 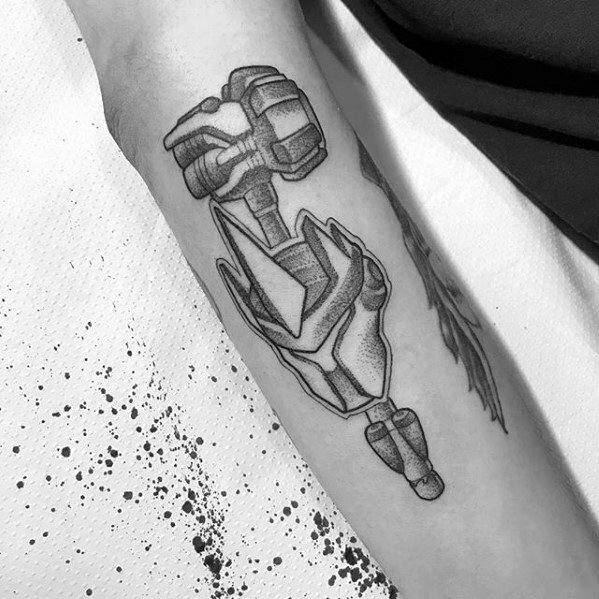 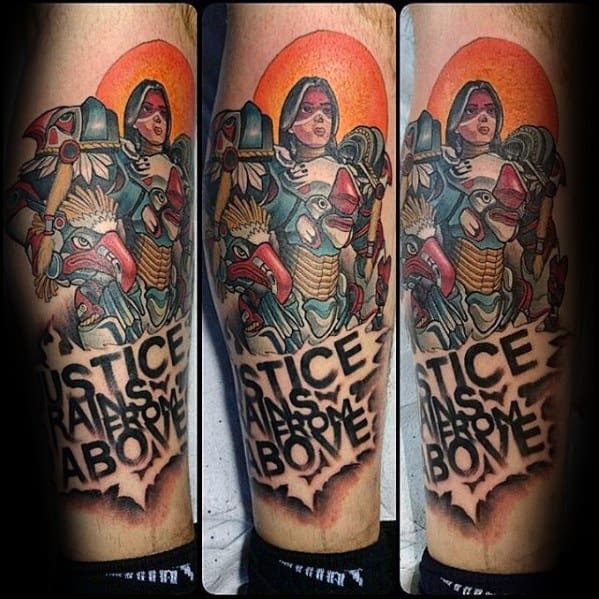 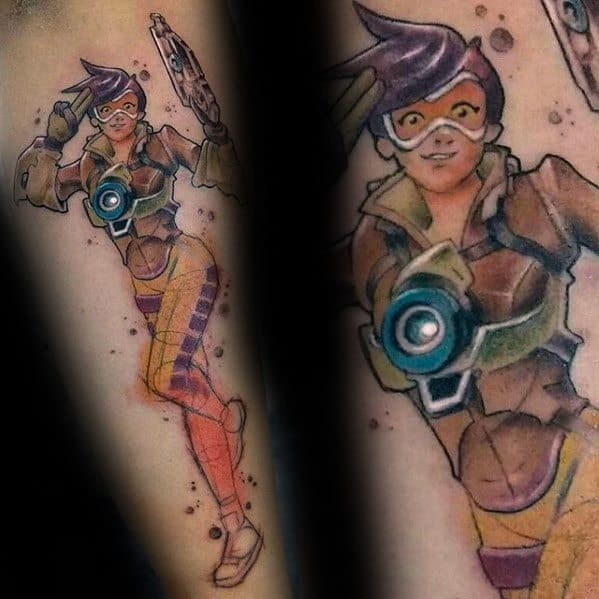 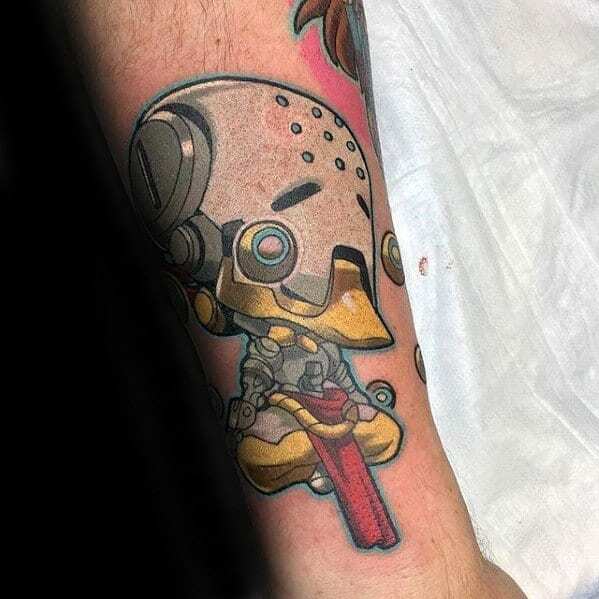 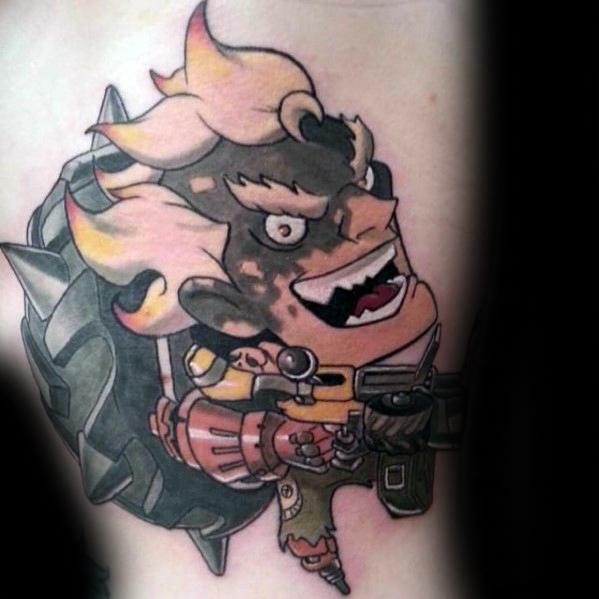 This revolutionary title is sparking a major resurgence for online competitions, and skilled players can take their unrivaled leadership to the next level with an Overwatch tattoo. 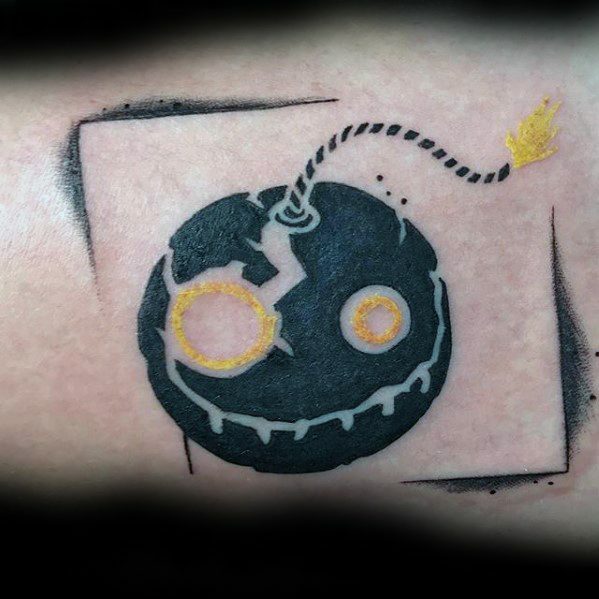 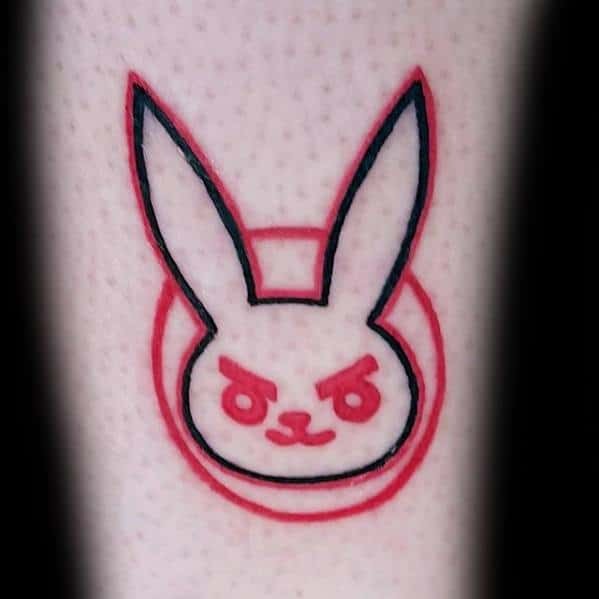 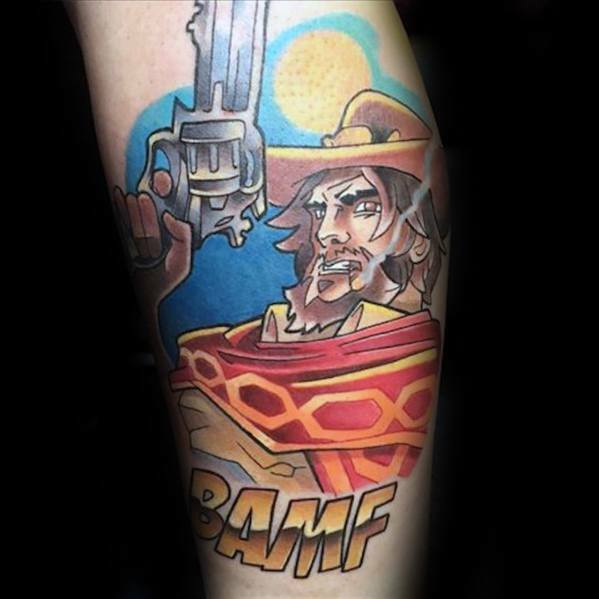 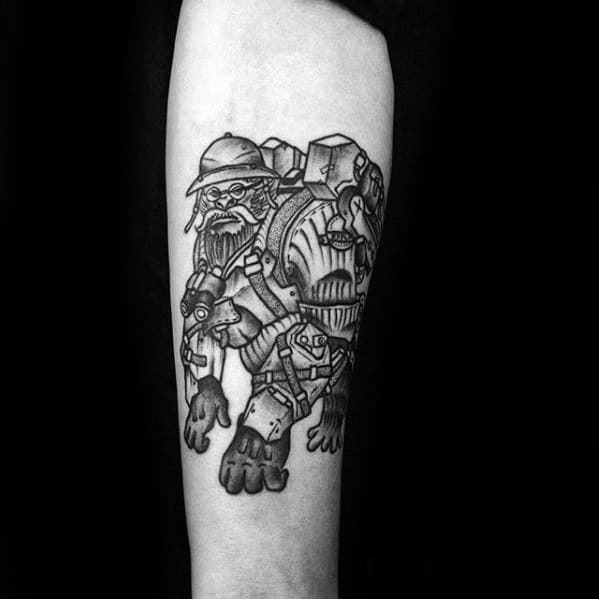 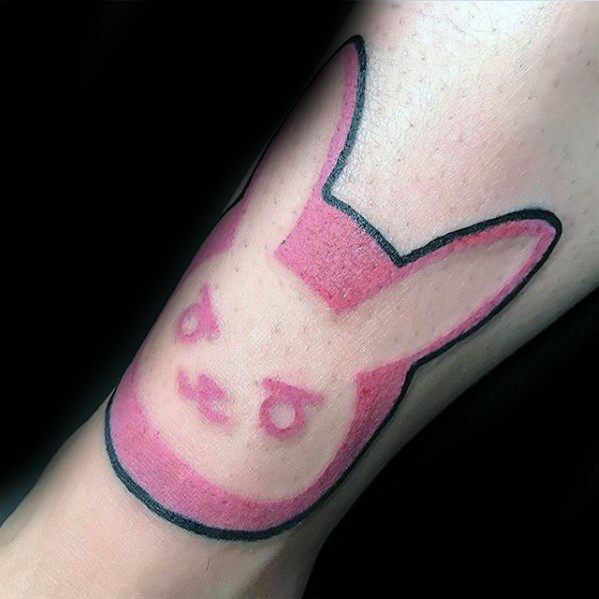 Fans of this esteemed online first-person shooter can bring Blizzard Entertainment’s shining achievement to life via bombastic body art. 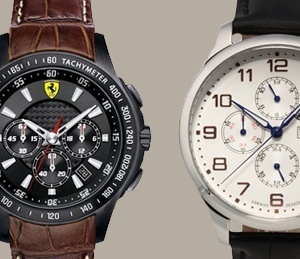 To fully grasp the heightened creativity, just peruse our up-to-date catalog of alluring samples.